The LCUSD Kindergarten mission is to provide a loving, nurturing, and safe environment that promotes exploration and provides a foundation for success by meeting the individual needs and differences in each student through innovative, developmentally appropriate, and rigorous instruction in order to foster independent thinking and a love of learning. AS AN EDUCATOR... I believe each and every child has the potential to bring something unique and special to the world. I will help children to develop their potential by believing in them as capable individuals. 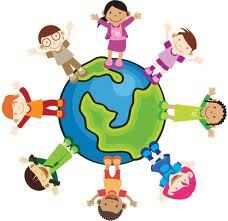 I will assist children in discovering who they are, so they can express their own opinions and nurture their own ideas. I have a vision of a world where people learn to respect, accept, and embrace the differences between us, as the core of what makes life so fascinating.